On Editing: What Exactly Does a Developmental Editor DO? What Happens the Morning After? Revision. That word is not music to every writer’s ears. But I love it. LOVE. IT. I revise extensively in my own writing, and as a developmental editor I help writers strengthen their manuscripts. You, the writer, fell in lust with your story, although you can’t remember why as you look at the tangled, messy draft before you. It’s like the morning after a hot one-night stand, and the person snoring next to you isn’t as good looking as your vodka-induced brain had thought. Well, now you have to shower, brush your teeth, and put on your big girl (or boy) pants. Then you call your developmental editor. I answer my phone; don’t worry. Because let’s face it—revising can be overwhelming. The word count goal is suddenly replaced with The Goal. And sometimes, the thought of revision is enough to make you crawl back to what’s-his-name from last night and convince yourself you could overlook all those bothersome things and fall in lust all over again. As they say, write drunk but edit sober. It’s time to put away the vodka. A developmental editor assists writers in revision, comes up with fresh ideas, and offers specific solutions. In addition to editing, my goal is to help writers get focused and organized, to a level where they can feel good about sitting down to revise so it’s not so daunting. Organize content to make sure plot points line up and are timed well within the structure (acts, moments of no turning back, final battles, etc. ), identify gaps and loose ends, condense info dumps and look for ways to apply information in more useful contexts. Ensure the conflict (opposing forces) is strong, and that the hero and antagonist have motivations. Analyze characters for consistency and find opportunities to further develop traits, habits, reasoning, thoughts, and actions. 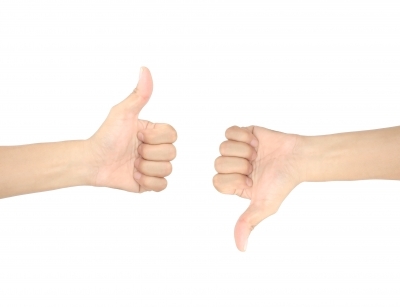 Check the pace and correct areas that may bore or confuse readers. This can be anywhere from heightening tension in a conversation to adjusting the timing of action moments and scenes for plausibility. Look for areas to layer more setting detail and description to help ground readers, or to condense backstory and info dumps. This includes expanding on descriptions, helping descriptions work harder to reveal more information than what’s on the surface. Additionally, make sure every scene has a purpose and that the end of chapters keep readers turning the page. I’ve seen many a first draft, and when I work with writers, I want to get the best out of them, no matter what purpose they’re writing for. Revision is only part of a writer’s journey, (or a necessary evil, if you prefer). But don’t you just love falling in lust love again? A final draft is something to hum about. I’m always interested in how writers revise, how they tackle levels of revision, and who they rely on in their process. So, how do you feel about revision? I love hearing from writers! Also, I’m collecting feedback to keep myself informed about what writers struggle with the most in their work. If you would like to answer a few questions about writing and editing, you can fill out this form anonymously. Stacy Teitel is an editor at Apoidea Editorial, a developmental editing service to help fiction writers strengthen their manuscripts. When she’s not working with authors, you can find her copyediting and managing content for eMarketingVS. Some of her favorite things to do are watching political and crime shows, drinking good-quality coffee, and snuggling up with her Kindle. Follow her on Twitter @ApoideaEdits or visit her website. My youngest teenager recently told me that I’m her favorite cartoon character. This is on the heels of her also informing me that I’m like living with a Saturday Night Live skit. Apparently, in her eyes I’m quite a character. Characters are my favorite part of fiction. Write great characters and you’ve got me. Sure, if the rest of the book isn’t all that great and could use some serious editing or rewriting, I’ll skim and skip to the dialogue. But I can’t put it down otherwise. Why? Because I’m already emotionally invested in the characters. My daughter sees me as a lovable character. I make her happy. She laughs at and with me. We love each other dearly. There’s an attachment that will always keep us bonded. She’ll never want to stop “reading” me. We’re entangled in through our feelings. I come from a long line of characters. My grandmother, a favorite of mine on my blog, is a great example. She’s got that tiny, white-haired woman with a gentle nature about her that draws people in. What you don’t expect is her quick wit. No one could talk because we were laughing so hard. She’s the kind of woman people are drawn to because of her lovely disposition but the more you get to know about her, you realize she’s sharp, dynamic and quite funny. Characters come in all shapes, sizes and forms. 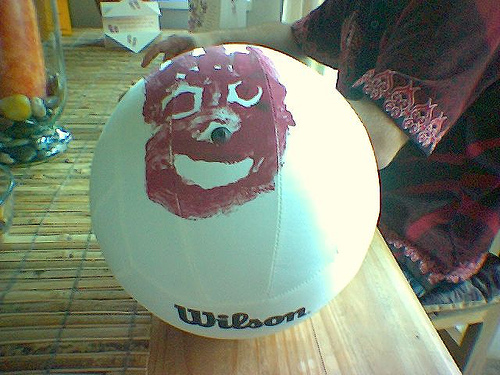 Remember Wilson from Cast Away? Tom Hanks’s stranded character became so dependent on that volleyball, I doubt there was a dry eye in any movie theater across the country when it floated away. The interaction, companionship and dependency between the main character and that volleyball are all basic human experiences we can relate to in any form. Tom Hanks was desperate on that island. Wilson became a crucial character through tangible need. We were goners for Wilson before we even knew what was happening. As writers, we need to do the same things with our characters to connect with readers. Create a relatable situation or emotion with your hero or heroine. The world provides more than enough situations that writers can use to connect with readers. Think about how you feel when you’re having a hard time making ends meet. Are you stressed? Worried? Angry? Desperate? Maybe you’re in love with someone but you don’t know if they feel the same way about you. Are you terrified? Curious? Resigned to live in the shadows even if they are with someone else? Every single human being can relate to these emotions. Tapping into a reader’s feelings makes all the difference when you create your characters and bring them to life. So what’s my point? When you write, be a character. Look inside your leading lady and/or man to find the likable, relatable qualities that would make a reader care. Then bring them to life. If you have trouble with your characters, look no further than the people around you. You see them completely different than they see themselves. Compile a list of what you love about them as well as their challenges. Once you’re done, you’ve got a number of recipes for any character you want. I’m a character. You’re a character. We’re all characters. We spend our lives trying to be characters at least a few people will like. As a writer, you get to orchestrate this entire process. Become an observer. Listen. Watch. Learn. Pull those puppet strings and create the character that will connect with many hearts. K.J. Wolf lives in upstate N.Y. with her husband, two children and too many pets to count. When she’s not playing matchmaker in her romance and erotica stories, she loves spending time with loved ones, reading, hiking and cooking. Eating is just a given. She’d love to have you stop by her blog, visit her on Facebook, and check out her novella, Change of the Heart, available on Amazon.